192 pages | 28 B/W Illus. Patients suffering from psychosomatic disorders represent a formidable challenge. Psychosomatic disorders are common, and account for substantial personal discomfort, unnecessary medical expenditures, socioeconomic loss, and disability. They are challenging to diagnose, treat, and are rarely completely cured. Furthermore, they often provoke strong negative reactions from family, friends, and caregivers, who are unable to fathom their inconsistencies. Currently, little is known as to how they develop or why their symptoms tend to transform over time. 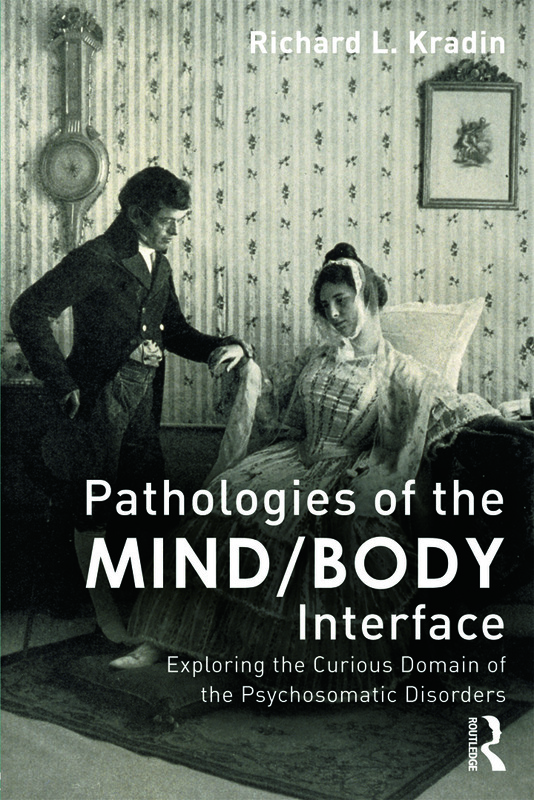 In Pathologies of the Mind/Body Interface, Richard Kradin, a medical internist, pulmonologist, and psychoanalyst at a large Harvard hospital, examines the historical, philosophical, cultural, psychological, and neurobiological factors that contribute to the development of psychosomatic disorders. He focuses on the role that developmental stress and attachment disorders appear to play in increasing the risk of developing psychosomatic symptoms, and advises medical practitioners and psychologists on how to diagnose and treat them. Dr. Kradin suggests areas of importance for future medical and psychological research into the causes and treatments of these debilitating disorders. Richard L. Kradin, MD, is a practicing Pulmonologist and Psychoanalyst at Massachusetts General Hospital (MGH), and Associate Professor of both Medicine and Pathology at Harvard Medical School. He is Director of the Dyspnea Clinic at MGH, and also past Research Director of the Mind/Body Medical Institute in Boston, MA. He is the author of The Placebo Response and the Power of Unconscious Healing (Routledge 2008), and of approximately 200 articles in medical literature. His research interests include psychological aspects of pulmonary disease, chronic fatigue syndrome, and the role of early attachment disturbances in the development of psychosomatic symptoms and placebo responses.